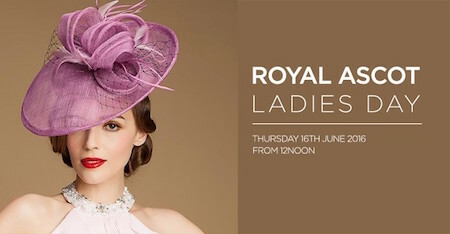 Piccolino is holding Royal Ascot Day at Piccolino Didsbury on Thursday 16th June from 12pm-5pm in aid of Francis House. Piccolino is holding Royal Ascot Day at Piccolino Didsbury on Thursday 16th June from 12pm-5pm in aid of Francis House their local children’s charity, with their celebrity host Chelsea from Key 103. Tickets are priced at £40 per person and include; welcome drink Aperol Spritz or Prosecco, exclusive two course lunch matched with wine finished with prosecco and chocolate dipped strawberries on the terrace. The highs and lows of the races will be shown live on the big screen, with a sweepstake on the Golden Cup race of the day. Piccolino Didsbury has chosen to support Francis House children’s hospice during 2016. a charity that provides rest bite care for children with life shortening illnesses. They are featuring some exclusive prizes in their fundraising raffle from watch and jewellery designer Paccioni, limited edition art print from the amazing Baiba Auria and a pamper package courtesy of luxury boutique hotel Didsbury House, Elegant Touch Beauty and Helen at MacLeod Bradley Hairdressers. Local fashion boutique SOS will also be showcasing their brand new summer collection with a short fashion show during your lunch, and staying on hand to offer styling tips. You will have the chance to make those summer purchases, of which 10% will be donated to Francis House by SOS. It will be a day not to be missed where everyone must dress for the races including the all-important race day hat, prizes for best dressed and fantastic hat. On receipt of your RSVP you will be asked to provide a £10 per person deposit to secure your place with the rest of the ticket price payable on the day, and also provided the specially designed menu in order to make your lunch choices.